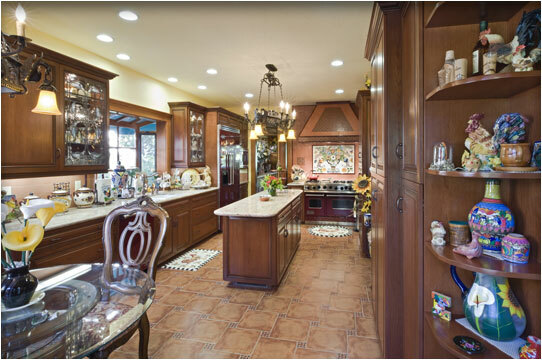 Latest Design Option 2-3, Kitchen Remodel » Roger Perron Inc. This kitchen remodel provides a great floor plan for easy preparation of food with everything within easy reach in an aesthetic environment. The tile flooring makes for easy cleaning and adds character to the owner’s theme. The wood bay window allows for more natural light and becomes a center point for the kitchen sink area from which to view the yard.